Does anyone else just have summer on your mind? It’s basically all I think about – I can’t wait for the warm weather, trips to the pool, and summer clothes. Those things will have to actually wait until May, but there are some summer things we can go ahead and change now to help get us in a summer state of mind. 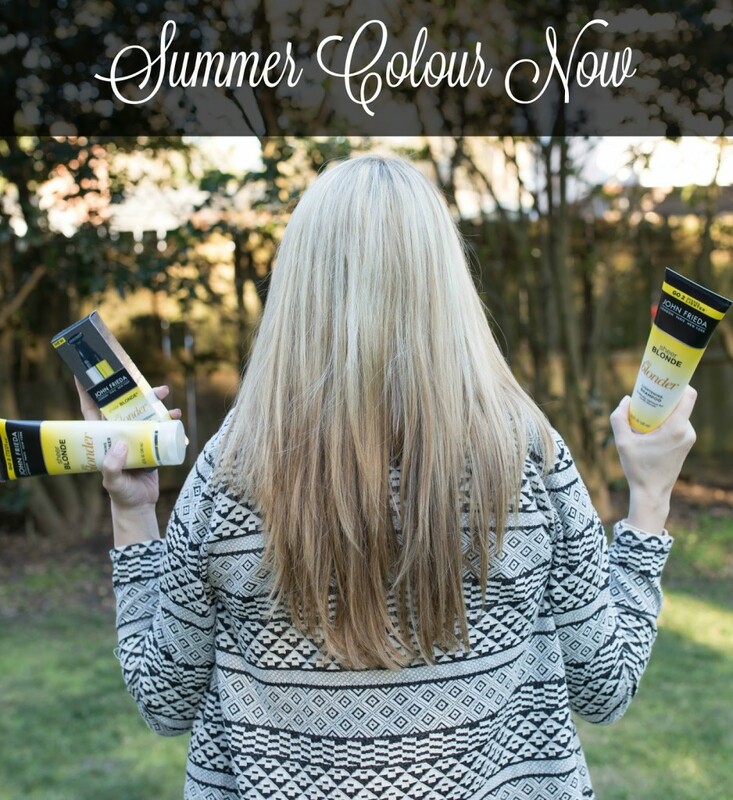 Why not go ahead and work on summer hair now? 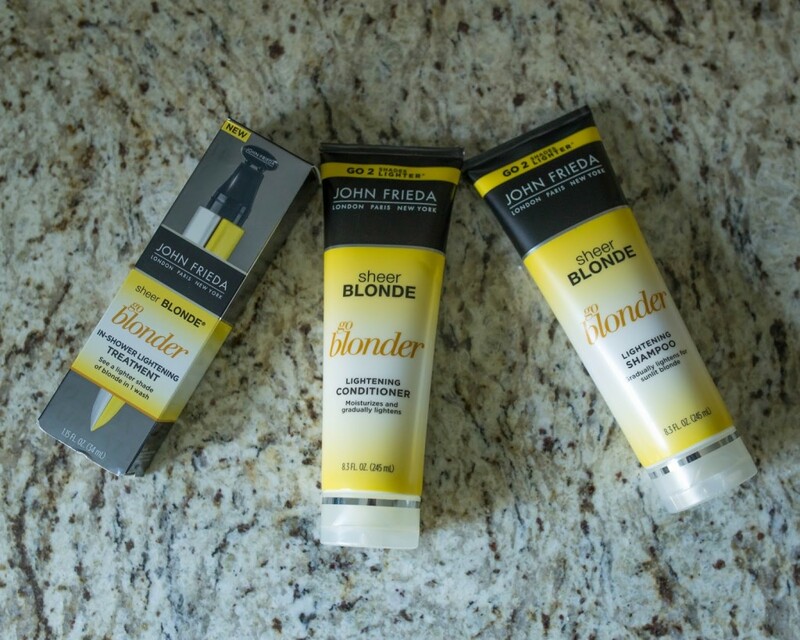 We can’t make it warmer outside but for me summer always brings about lighter hair which is one thing I can go ahead and make happen with John Frieda Sheer Blonde® Go Blonder products! As part of my lightening routine I use Joh Frieda Sheer Blonde® Go Blonder Shampoo, Conditioner, and Visibly Brighter In-Shower Treatment. The in-shower treatment is a new product that will instantly soften dark roots and can boost your shade by 1 color without the damaging qualities of traditional hair color. And of course it’s safe to use on color-treated hair. If you’re like me and really push how long you can go in-between highlights this product is a must have for in-between colourings. It’s easy to use so you don’t need to worry about messing up the color, and doesn’t make hair brassy like some at-home lightening products. 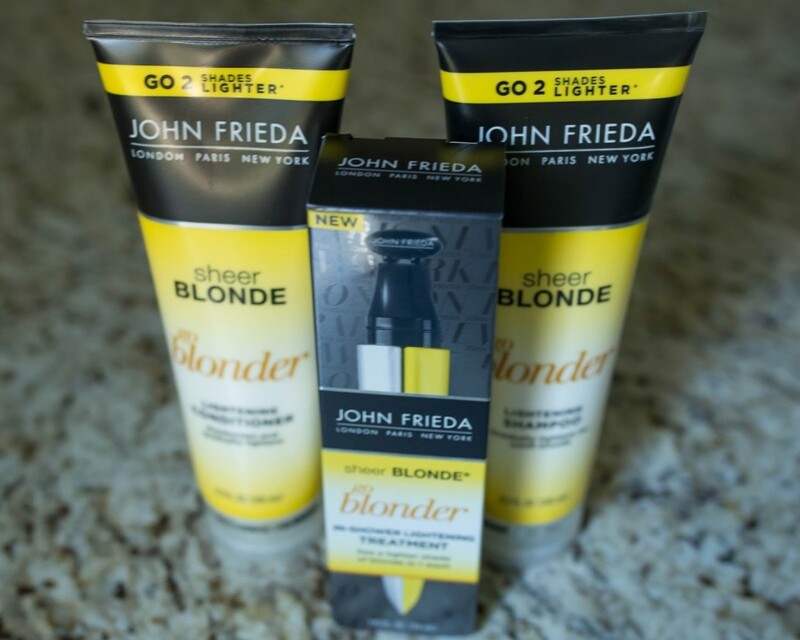 The Go Blonder Shampoo and Conditioner can take your hair color up to 2 shades lighter (when you use shampoo, conditioner, and lightening spray) and gradually lightens hair for a natural sun-kissed look. It’s also super moisturizing and great for color and chemical treated hair. I loved how soft my hair felt after using this and that it seems to keep my highlights from turning brassy. 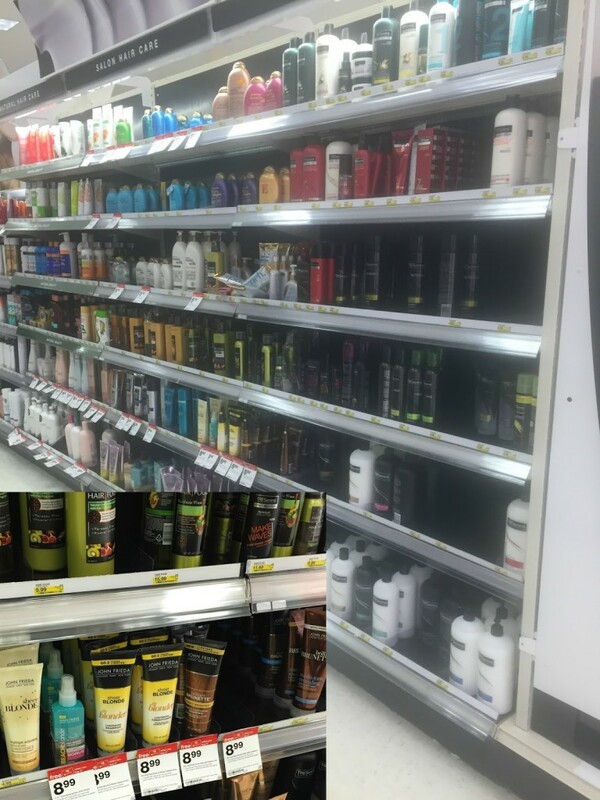 You can find John Frieda Sheer Blonde® Go Blonder products at Target – look for them in an endcap display! If you buy 3 you get a $5 Target gift card through 3/5. 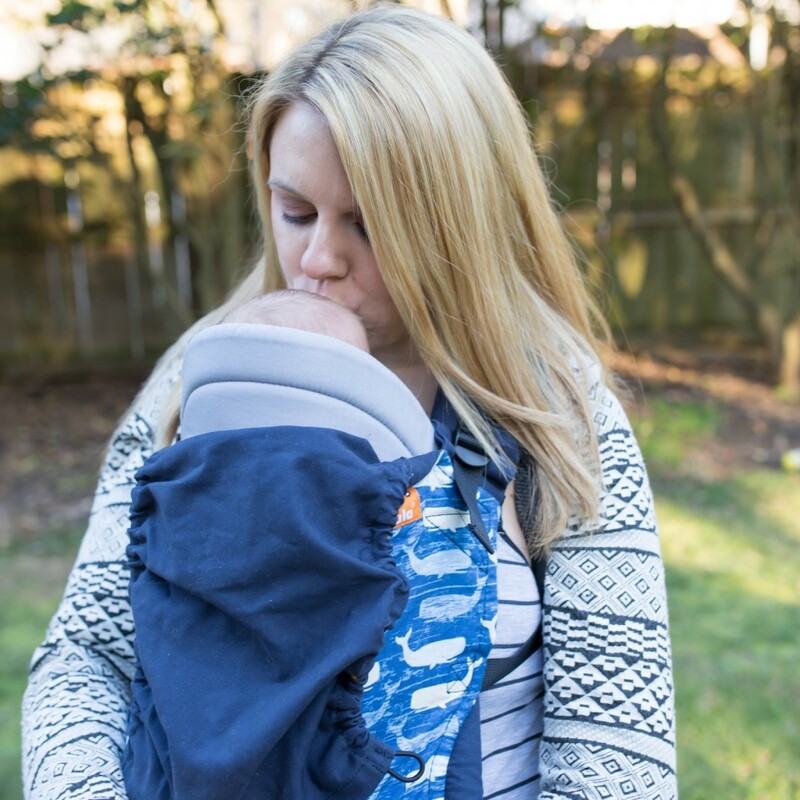 I buy all of our family needs at Target – I love that I can go and buy beauty products, groceries for the week, and pick up some new clothes, all while drinking my favorite Starbucks Green Tea Frappucino. 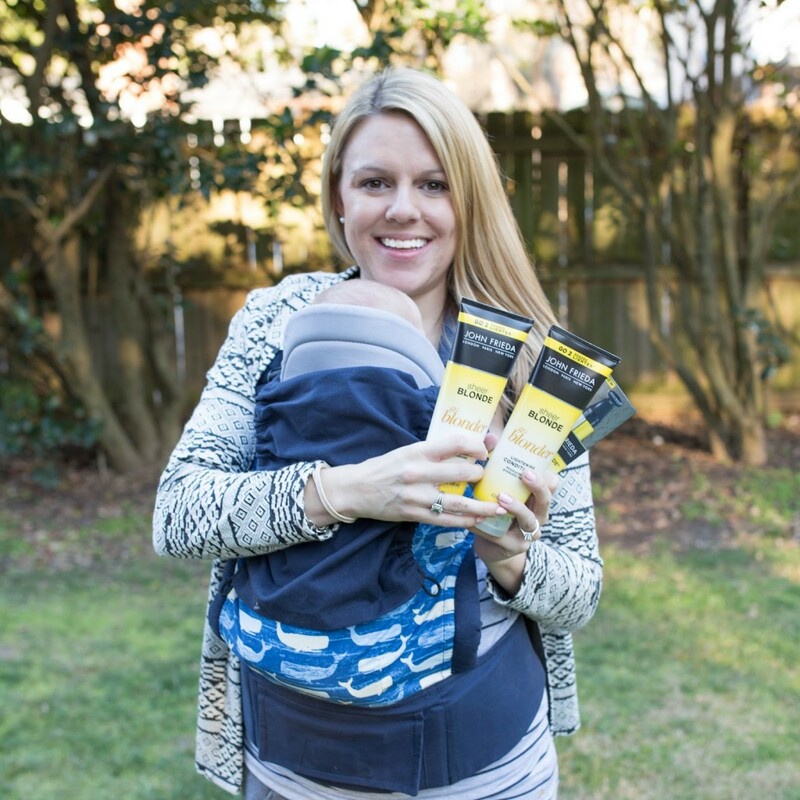 Any time I can’t find something I just ask a friendly sales associate for help and they will grab the product for me! Check out John Frieda for more color inspiration! Are you already thinking about summer? Tell me what you’re looking forward to below!